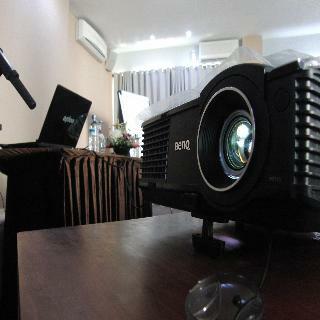 The hotel is located in Banja Umalas in Kerobokan. It is convenient to all the main shopping centres and tourist attractions. The beach at Petitenget is just 5 minutes away. The restaurant is located overlooking the lotus pond and banana gardens. The rooms are luxuriously furnished with traditional Javanese materials. Each room is equipped with a safe, a minibar offering a wide selection of familiar drinks and individually adjustable air conditioning. An en suite bathroom with hairdryer, direct dial telephone and tea/coffee making facilities also feature. All rooms have a double bed and a terrace. The traditional Javanese library is the perfect place to spend a relaxing afternoon. The hotel also provides a swimming pool and spa treatments based on traditional blends of herbs. Breakfast is available to guests each morning, as well as lunch and dinner. 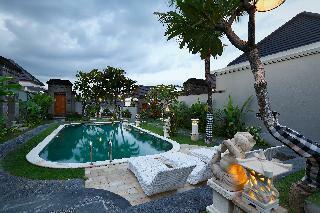 This smart, trendy hotel offers sophisticated accommodation in Bali's popular Seminyak area. Seminyak beach, which is more laid-back than neighbouring Kuta Beach, is only a seven-minute drive from the hotel, while the shops, restaurants and bars of the local market and shopping centre are just five minutes away. The hotel's inviting rooms are tastefully decorated with modern furnishings, a living and dining area with LCD TV and international channels, and a handy kitchenette with microwave and coffee maker. After a long day spent discovering Bali's wonderful cultural attractions, guests might relax with a drink in the casual rooftop lounge and enjoy local or international specialties in the onsite restaurant. The hotel also boasts an outdoor swimming pool surrounded by lush, tropical plants and a fitness centre and spa with sauna, Jacuzzi and massage services. 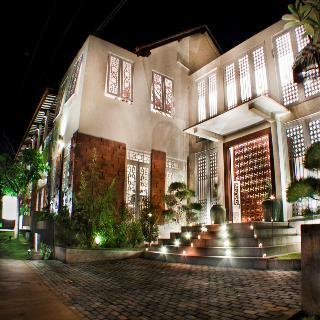 This charming hotel is situated in Kerobokan. The premises count with 28 welcoming accommodation units. Those staying at this establishment may keep updated thanks to the Wi-Fi access. This accommodation offers a 24-hour reception service, so that guests' needs will be fully met at any time of the day or night. 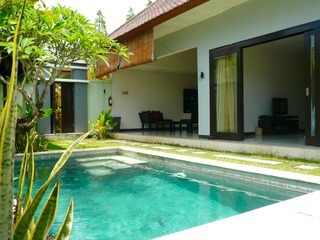 Maca Villas and Spa Umalas offers a specially designed family room including a cot for children. Pets are not permitted on the premises. There is a car park. This resort is located in Kerobokan, lying amidst the tranquillity of the Balinese countryside, surrounded by rice plantations. The resort is located just a 10 minutes' driving distance from Seminyak, lying in the ideal setting in which to enjoy a truly relaxing getaway. The resort extends a warm welcome to visitors upon arrival, alluring them into a world of charm and style. 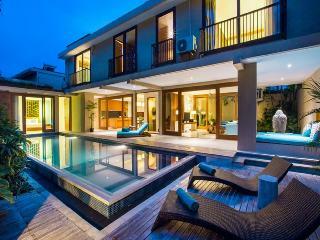 The villas are exquisitely appointed, featuring an authentic Balinese design, combined with contemporary chic. The villas are eloquently presented, offering comfort and luxury, combined with contemporary convenience. The resort affords guests a wide range of exemplary facilities and services, meeting the needs of discerning travellers to a high level of excellence. Guests are assured of an unforgettable experience at this resort. The hotel offers remarkable accommodation facilities designed in a manner that presents a true blend of contemporary style with a traditional elegance. The accommodation options of the hotel offers most convenient stay with basic room facilities along with great little touches to the interiors. This Villa located just 20 minutes from the local Airport and a mere five minutes from a hotbed of shopping, dining and entertainment options. 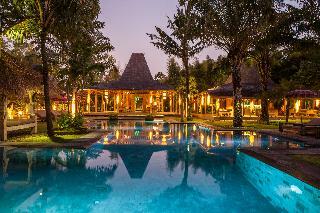 Located in the peaceful village of Kerobokan overlooking some of Bali's scenic rice fields is this tranquil hotel. It sits at only a 20-minute drive from the airport and within easy reach of the excellent night life spots and entertainment venues at Seminyak, Kuta or Legian. Its location is perfect for exploring the area either on foot or on bike, and the hotel's bicycle hiring service offers exactly what is required. Those who don't like to mix their vacation with physical activities can find everything they need at the onsite spa centre, where they can experience total and full relaxation in matter of minutes. For working on that healthy tan there are sun loungers around the private outdoor swimming pools, which invite all guests to grab a refreshing drink, a good book and spend the lazy afternoons sunbathing. 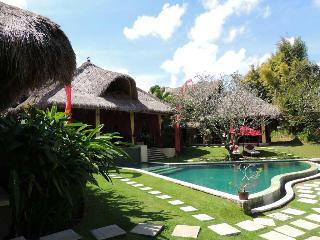 The property is situated in a unique location known as Umalas/Seminyak. It is just a short drive away from the famous dining and leisure hotspots in Bali, including Seminyak Beach, the Kuta area (20 minutes) and Petitenget. The design hotel features elegant, private luxury suite villas with private swimming pools. Facilities on offer include a lobby, a hotel safe and a private car park. Each air-conditioned unit is en suite and comes with a bedroom with a double or king-size bed. The chill-out area and the dining area all enjoy a direct view of the magnificent swimming pool. Other amenities include a private terrace, Internet access and kitchenette with minibar and tea and coffee making facilities. There is an outdoor swimming pool with sun loungers, and a massage service is also offered. Breakfast is served and cooked in the private villas. Lunch and dinner can be prepared from a set menu. Berry Amour Villas is just 2 minutes drive from famous Peti Tenget Beach and boasts uniquely-love themed villas with private pools and Jacuzzi each strong characteristic interior will tease your love mood Temptation with energetic character Mystique with wild character and Desire with gentle character. 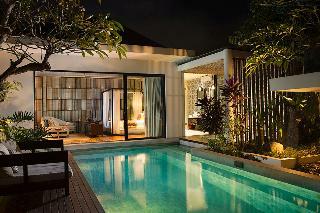 Guests enjoy free shuttle to Seminyak area 24-hour butler service and free Wi-Fi in all areas. While Seminyak square shopping destination only 2 minutes driving and Famous Metis Sarong Mozaik and Naughty Nuris as dining options in Seminyak and Petitenget areas are reachable within a 5-minute drive from the Berry Amour Villas. Ngurah Rai International Airport is 40 minutes' drive away.The spacious stilled villas are tastefully designed with love stimulating interiors. Room amenities include a smart TV a I Pod sundock and a safety deposit box. They feature a well-complete equipped kitchen and a dining area with plush cushions. The bedroom with en suite living room overlooks the pool while each en suite private bathroom is fitted with a Jacuzzi and separate shower.Breakfast and other meals can be served in the villa's dining area. 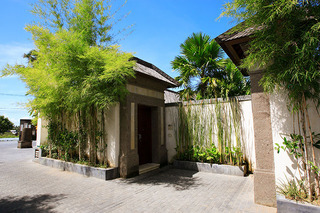 For guests' convenience the villa also offers daily housekeeping airport pick-up arrangements and laundry service. It offers free shuttle service to Seminyak and Legian subject to availability.A variety of beverages are served at the on-site bar. .
Great location, friendly, helpful staff.